Dozens of American cities and states believe the U.S. federal minimum wage of $7.25 is way too low. Not Puerto Rico. The island might actually slash wages. Congress just drafted a bill to help Puerto Rico climb out of its severe economic crisis and $70 billion debt debacle. One of the many band-aids House Republicans is showing Puerto Rico is a minimum wage below the federal requirement of $7.25 an hour. It would immediately make Puerto Ricans the cheapest labor in the country, although only workers under 25 would qualify for the lower wages. The goal is to get more Puerto Ricans employed. One in every 10 people on the island wants a job but can't find one. That's far worse than just about anywhere else in the United States. Lowering the wage could make Puerto Rico more competitive "among neighboring islands where lower-wage labor is readily available," the House Committee on Natural Resources explained in a press release accompanying the bill. There's some justification for paying less on the island. Across America, the typical household earns $53,657 a year. In Puerto Rico, the typical family earns a mere $22,477 a year, according to Census. The salary people need to live a middle class life on the island is far lower than in other parts of the country. Republican House Speaker Paul Ryan praised the bill. Ryan vowed that Congress would come up with a way to help the island by March 31 -- and that Puerto Rico would not get a taxpayer bailout. 1. Puerto Rico gets a Financial Oversight Board -- A 5-member board would be appointed by the president and function like a quasi-Wizard of Oz for the island. The board would be tasked with coming up with a financial plan to get the island out of its mess. 2. A "time out" on lawsuits -- The bill grants Puerto Rico an 18-month respite from any lawsuits, including from creditors demanding payment. It's meant to give some breathing room so the Oversight Board can do its work in peace. 3. 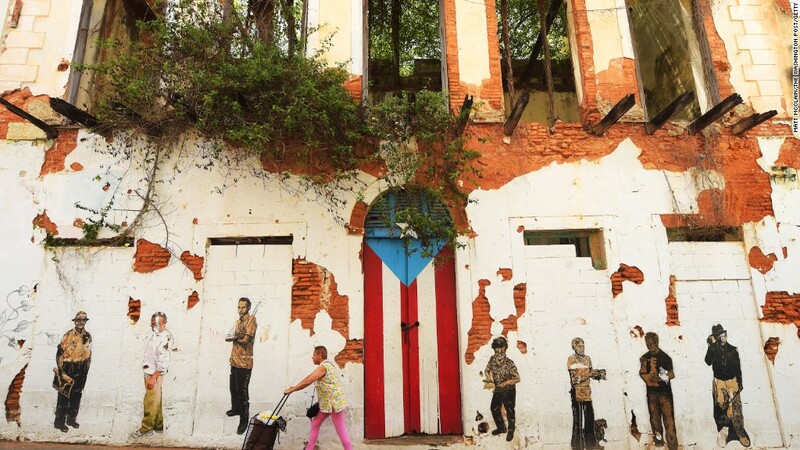 A "last resort" that's similar to bankruptcy -- The bill stops short of giving Puerto Rico the ability to declare bankruptcy (or giving it so-called Chapter 9 bankruptcy rights that other U.S. municipalities have). But the bill says if the Oversight Board comes up with a plan and the creditors still demand more, then the Oversight Board can head to court. In short, it means there is a possibility that the island's creditors could receive less than 100% of what they are owed. Puerto Rico's governor and the island's many bondholders don't get along. They agree on little, but both sides immediately blasted the House Republican plan. Bondholders want some sort of control board. They want someone they can trust overseeing the island's money after what they claim has been years of government mismanagement. But they don't want to get less than 100% of their money back. 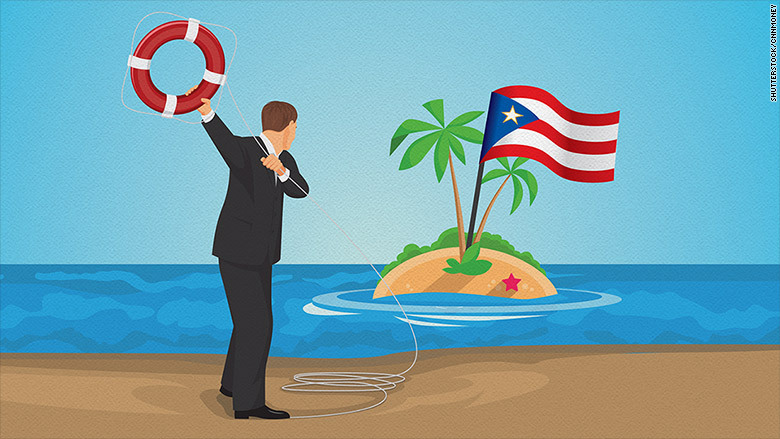 "No one wants to say it, but the Puerto Rican government is broken," Joaquin Garcia de la Noceda told CNNMoney in February. He's a locksmith in San Juan, who has lost over $100,000 on his investment in the island's bonds. Governor Alejandro Garcia Padilla wants to be able to declare bankruptcy. He says the bondholders are vultures who are squeezing the island. He called the plan for an Oversight Board "dishonorable" and "degrading" to Puerto Rico. People familiar with the bill say it's only a first draft. There will be revisions. A hearing is set for April 13.